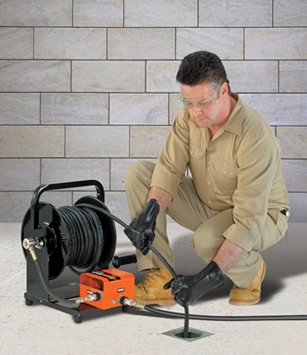 General offers a variety of accessories for your plumbing jetter. 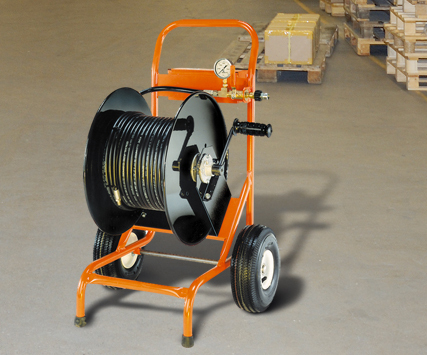 The Cart-Reel™ lets you use the power of gas jets in buildings and confined spaces where exhaust fumes can be dangerous. 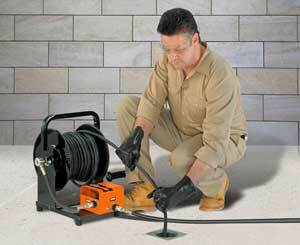 The compactHandy-Reel™ can be easily carried tothe roof to clear vents and stacks. 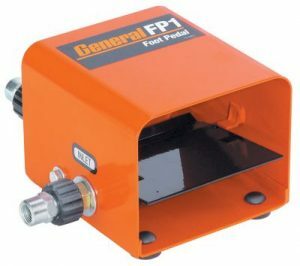 OptionalFoot Pedal gives you added versatility – water flows when you step on the pedal and stops when you lift your foot. Or you can get a spray wand and use your jet for pressure washing. 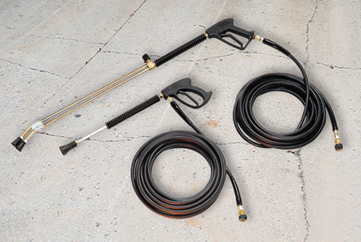 Get a Spray Wand and use your jet for high pressure washing and cleaning applications. Spray Wands are made from durable components. The triggers have a light touch, yet can withstand rough usage. The wands are insulated and designed for use with a down stream soap injector. A variety of stainless steel nozzles are available.